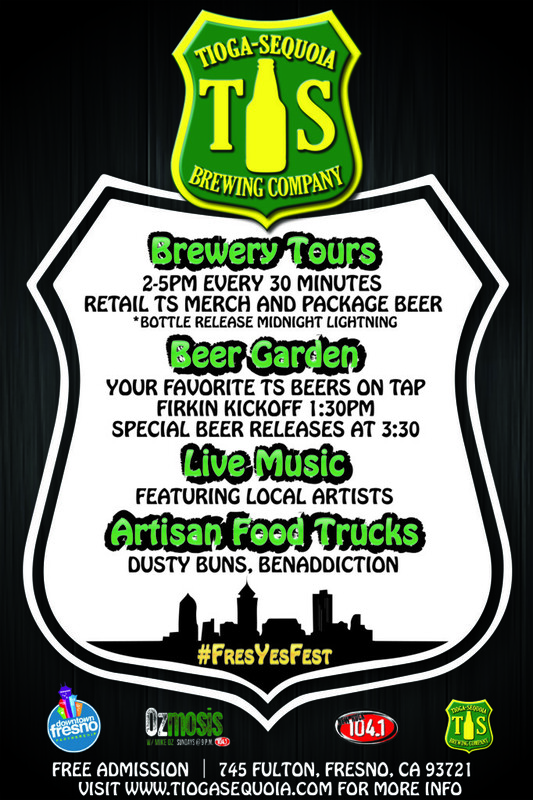 #FresYesFest at Tioga Sequoia Brewing Company April 12th '14 | Tioga-Sequoia Brewery Co.
FresYes Fest is Tioga-Sequoia’s toast to Fresno. We will be teaming up with New Rock 104.1, Mike Oz with Ozmosis, and the Downtown Association to throw a craft beer event that will bring people in from all around the Valley. Guest’s will have plenty to do and taste as Tioga-Sequoia guides them through their facility and shares their plans and visions for the bright future. Being an event at a craft brewery, the main focus will be based around the beer. Tioga plans on having all the favorites on draft as well as a special cask conditioned Rush Hour Breakfast Stout with Toasted Coconut. To top that off, Tioga will be releasing three new special beers one of which is the long anticipate Midnight Lightning Imperial Stout, which will be available on draft and take home in 22oz bottles. Official TS Merchandise will also be for sale. New Rock 104.1 and Ozmosis have selected various local artists to perform live on stage throughout the day. These artists include Strange Vine (headliner), King Sugar, Rogues, and Sidney Dominici. Local Artisan Food Trucks, Dusty Buns, Benaddiction, and La Apacuequena, will be present serving up their specialties dishes. Some paired up with Tioga Sequoia Beers. Last year’s “Open Brew House” was a huge success and this year’s new and improved version will only be that much better. 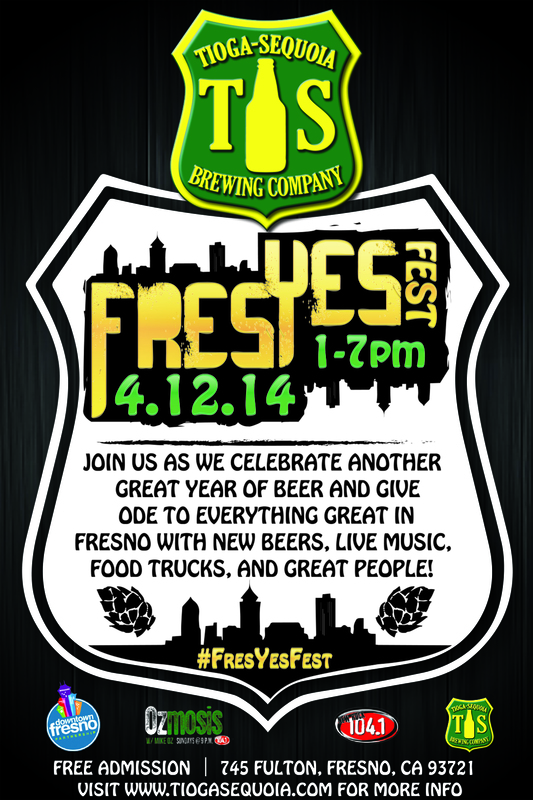 We look forward to seeing you at the #FresYesfest April 12th!